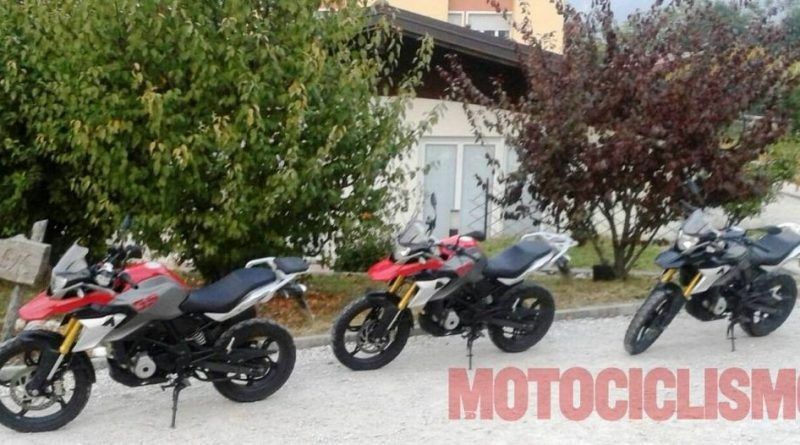 Recently updated models of the BMW G 310 R caught on camera while doing a road test in a town in Italy. According to images released by an Italian media, Motociclismo, the latest model is recognized as the BMW G 310 GS, the endurance version of the development model. In the picture shown, there are three units of the BMW G 310 GS without camouflage were parked on the roadside. It is not yet known for sure whether the colors of red silver and black silver will be the color options used on these models. When viewed closely from both the sportbike models and its endurance version, the BMW Motorrad only provide additional tools to support the look like riding an adventure motorcycle in general. From the front fascia, the aura of G 310 R remain strong seen with the use of headlights and the same up side down suspensions. In addition, there is also the addition of front beak (trail fender) are positioned together with the headlamp and fairing and small semi windshield. To the rear, the BMW Motorrad manufacturers simply add the rear bracket to support the use of box or other adventure special equipments. While for its drivetrain, as quoted from Shifting Gear, BMW still uses the same engine with G 310 R. Just a little change is only done in the engine setting of round down by increasing the amount of torque single cylinder engine capacity of 310 cc powered up to 32 horse power with torque more than 28 nm than the sportbike version. It is estimated that the BMW 310 GS will be launched at the Intermot 2016 which takes place on October 5 to 9, or in the EICMA 2016 which will take place in Milan, Italy, on November 10 to 13, 2016.